Within a few weeks of knowing Ken, the Lake District has always cropped up in conversation when discussing where we'd like to travel to together in the future. 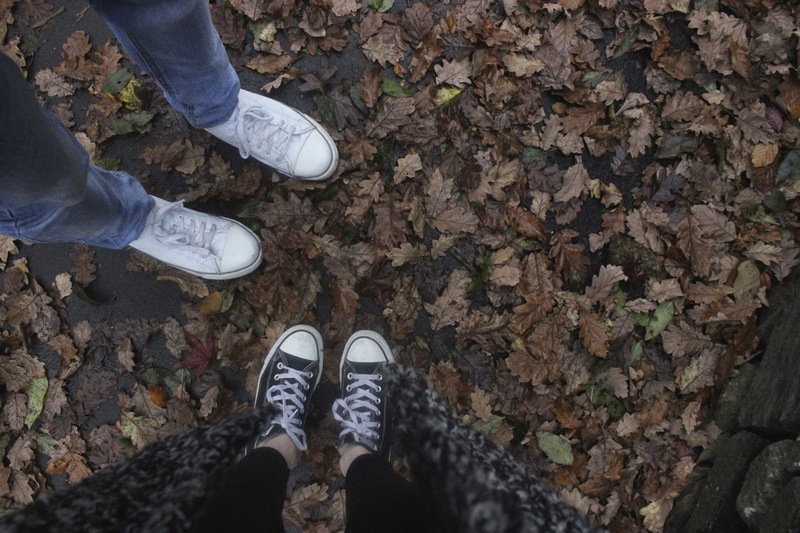 After travelling to Aberdeen and Manchester together before we officially a couple, we've both always dreamed of taking a break from work and University life to stay in a secluded cottage next to the Lake District during the Winter time. 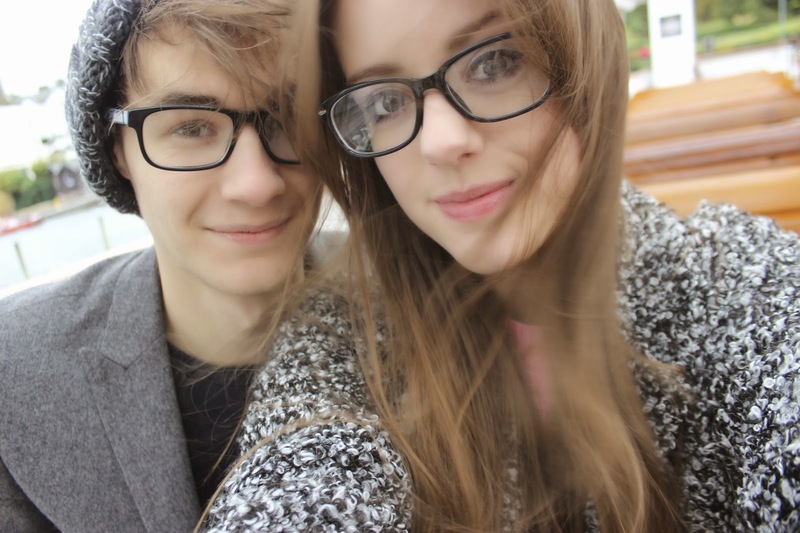 To my surprise for my 19th birthday, Ken treated me to a weekend away in the Lake District. 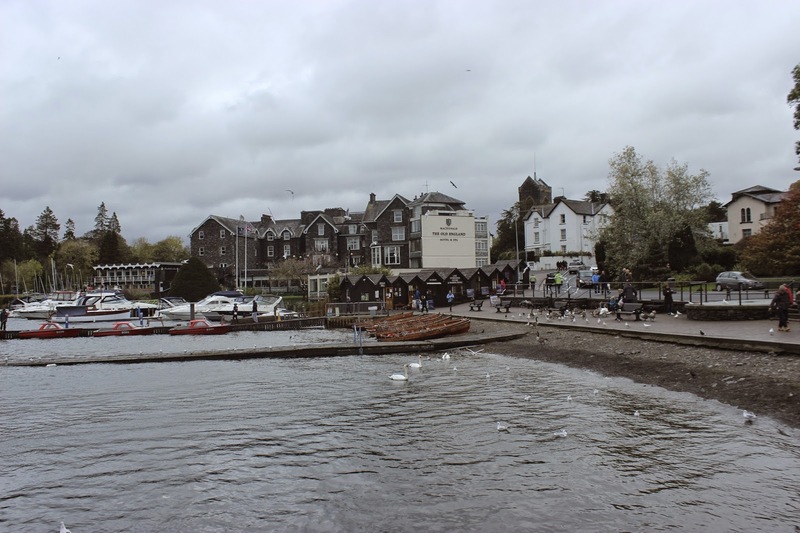 We stayed in a beautiful part of the lake district called Bowness-on-Windermere. After a 2.5 hour train journey from Edinburgh to Oxenholme, we got on a short 30 minute connection train to the town of Windermere. 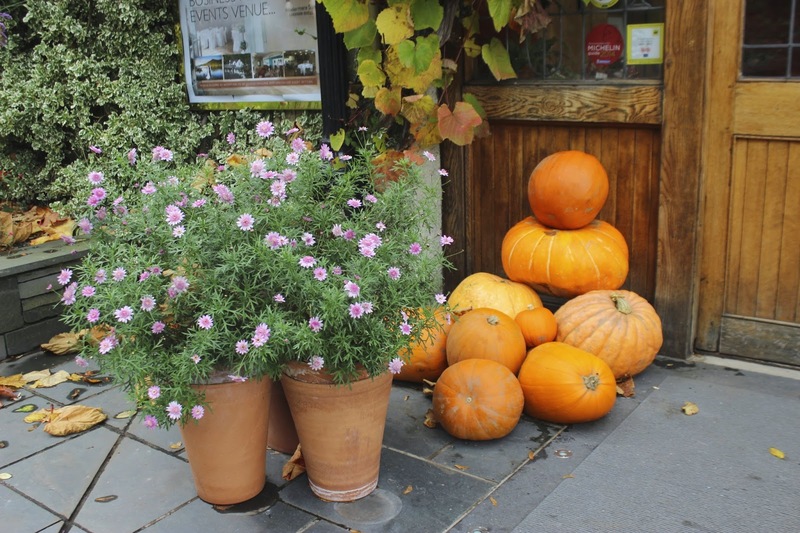 When we arrived, we dropped our luggage off at our hotel and headed out to explore the lovely independent shops around the town centre. 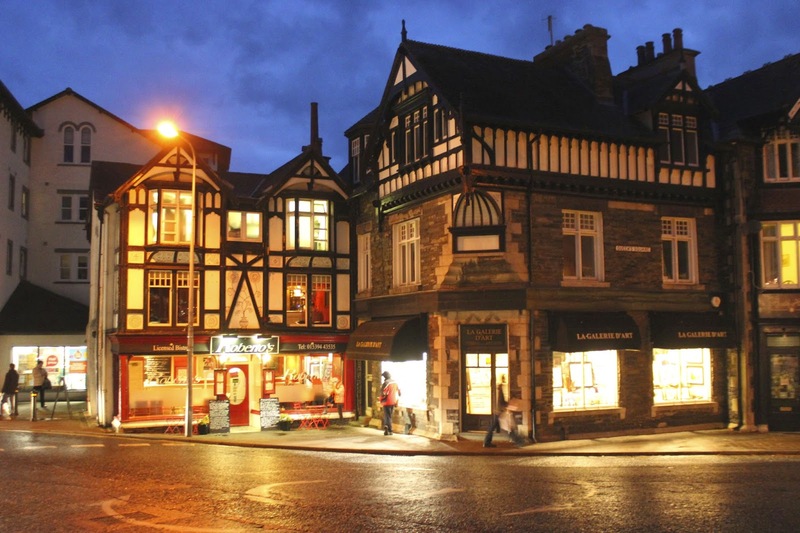 My childhood memories are filled with Summer breaks away to the town of Keswick in the Lake District where my family and I explored the Lakes and visited both the Pencil Museum and Beatrix Potter Museum numerous times. 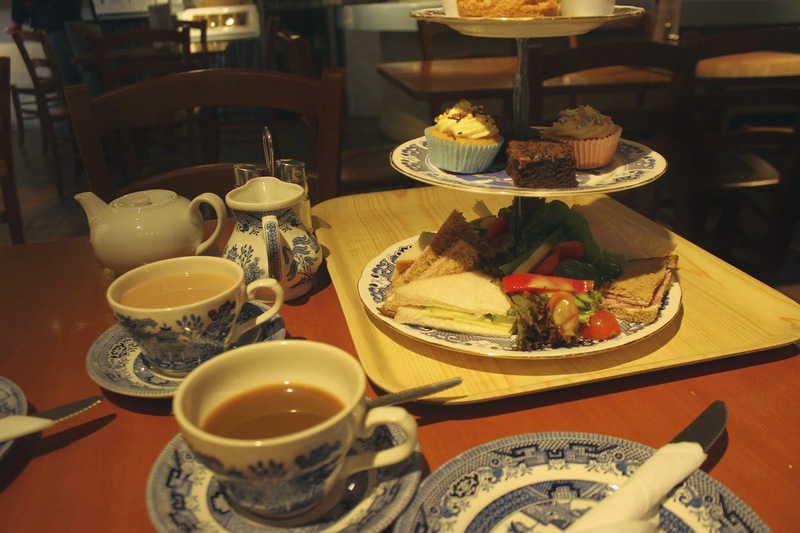 As I had experienced the Beatrix Potter Museum in Bowness-on-Windermere before, we decided not to visit the Museum, but instead go to the café for some afternoon tea. We had a coffee and tea each, scones with butter and jam, brownies, cupcakes and a delicious range of assorted sandwiches. Later on in the day, we went to an Indian Restaurant called 'Lake Raj' for dinner. Both Ken and I had a Chicken Tikka Masala dish, Pilau rice and poppadoms washed down with a glass of wine. 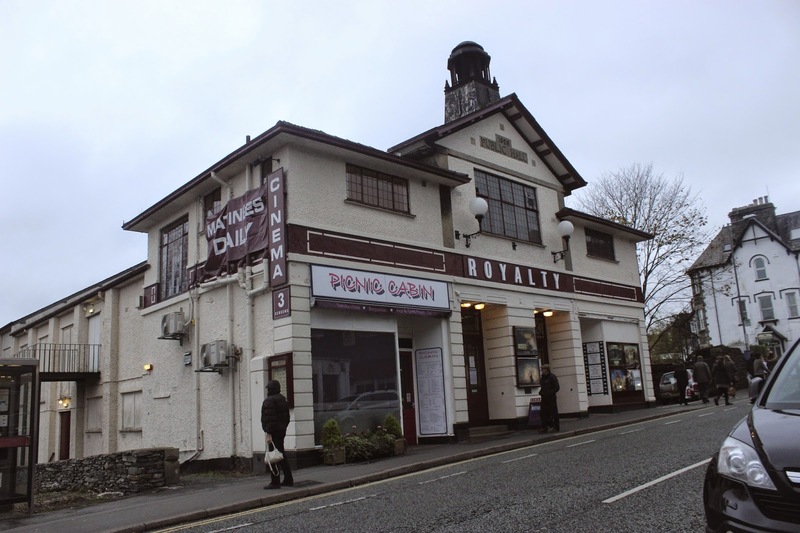 After our dinner, we spotted a cinema called 'Royalty' round the corner from the Indian restaurant. From the outside, the building looked really old fashioned and a change of scenery from modern Cineworld and Vue cinemas we were used to in Edinburgh. As soon as we stepped foot into the building, we knew instantly it would be the highlight of our trip. We received little old fashioned cinema tickets at the ticket booth and joined a small handful of locals in a little cinema screen. As both Ken and I are fascinated by vintage pieces and previous generations, we were fascinated by the curtain that covered the cinema screen before the film started and the appearance of a smartly dressed cinema snack attendee. To top the whole cinema experience, the film we saw - 'Fury' - was absolutely incredible and definitely a must see film. We stayed in an Inn called the 'Royal Oak' for the evening. There were only around 10 hotel rooms in the building, but we thoroughly enjoyed our stay there. Our room had all the essentials: a bed, TV, hairdryer, free Wi-fi and a shared toilet and shower room with the other guests - which we didn't really mind as the bathroom was always free when we needed to use it. Our room was surprisingly peaceful and noise-free considering there was a pub and restaurant underneath our room. The staff were super friendly and offered a continental/cooked breakfast the following morning as well as kindly storing our luggage in a locked room after we checked-out. 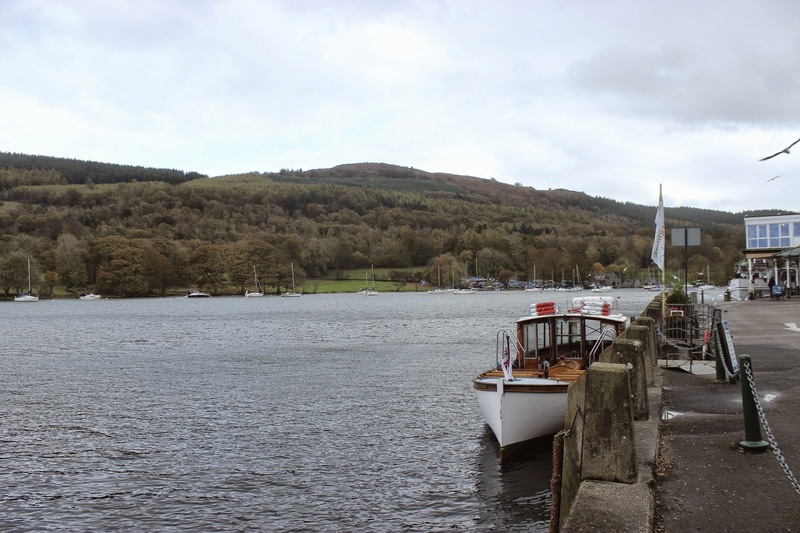 We went on a 40 minute lake cruise from Bowness-on-Windermere to Lakeside in the afternoon. 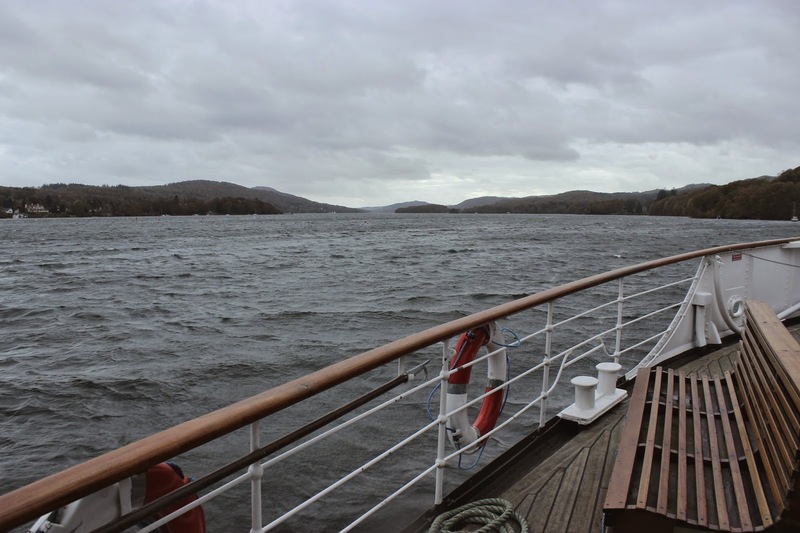 It was a little bit too chilly and windy to sit on the top deck for the whole trip, but we managed to sneak up for a while to take some photographs. 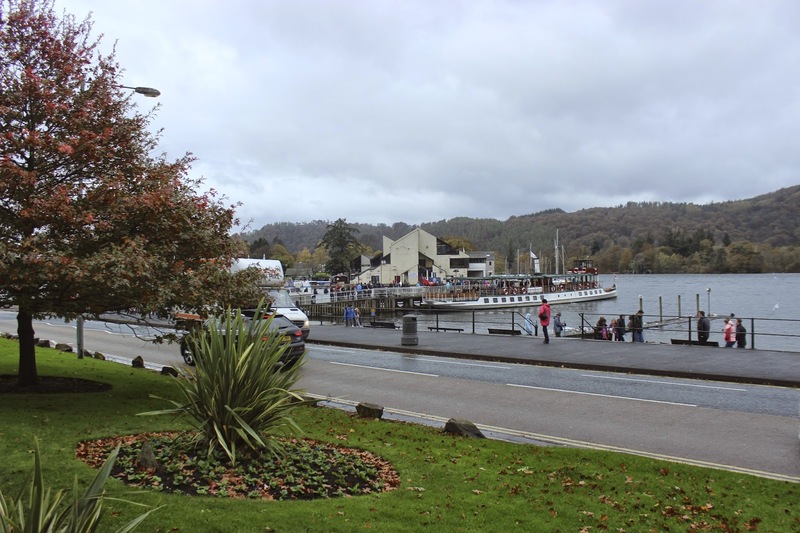 We couldn't find that much to do in Lakeside, I'm not sure if it's more of a walking holiday part of the Lake District, but we decided to stop at a Starbucks on the lake for an hour before catching the return ferry back to Bowness-on-Windermere. 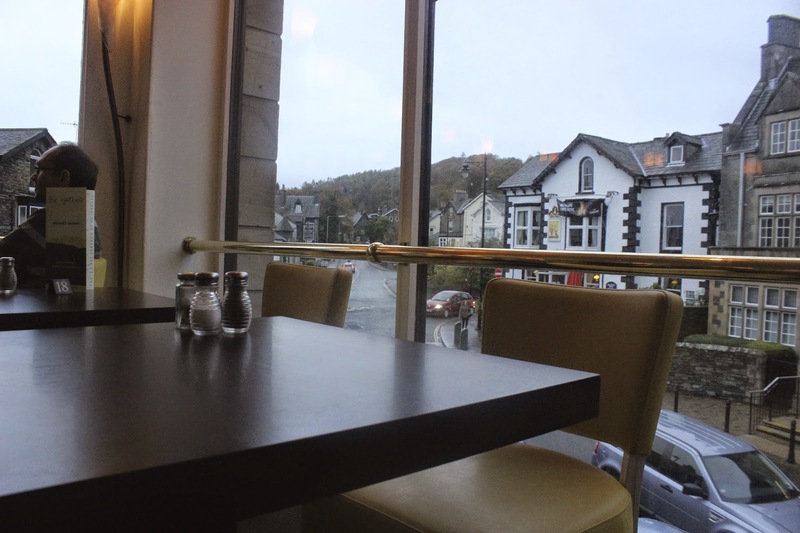 To finish off our weekend away, we treated ourselves to dinner at a restaurant called 'The Lighthouse' in Windermere. 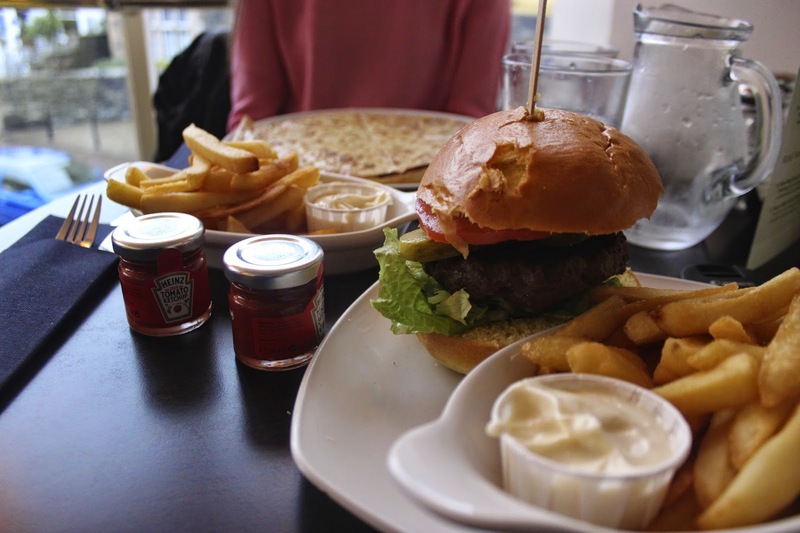 I was craving cheesy garlic bread at the time, so I ordered a garlic bread pizza with fries and Ken had a Burger with fries. We both found the little tomato ketchup pots adorable. After our meal, we looked around in the Lakeland store next to the station and had a quick beverage in a local pub before heading for our train back to Edinburgh. The Lake District was such an incredible little weekend getaway for both Ken and I - I'd definitely recommend it for a quiet couples holiday, with your family or even alone. It was so nice to have a break from city life for a couple of days and to avoid thinking about the dreaded mid-term assessments I have coming my way soon (sigh!). 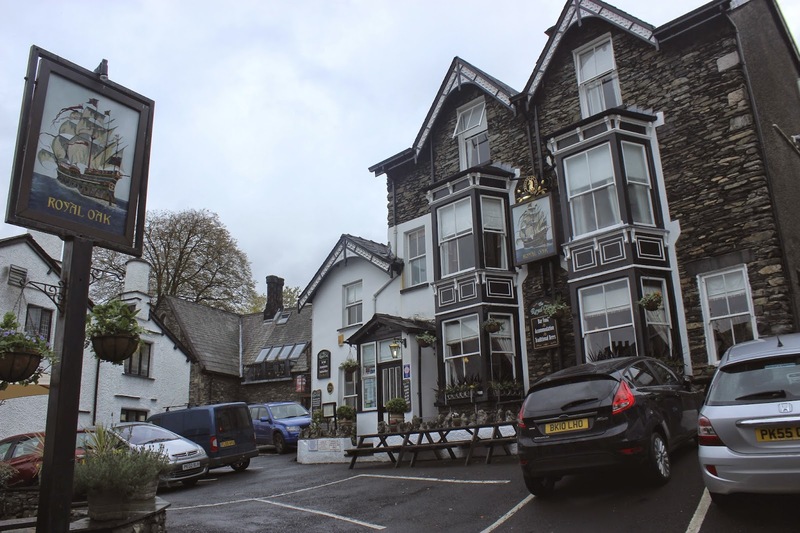 Have you been to the Lake District before? Which holiday destination would you go for a chilled weekend away? 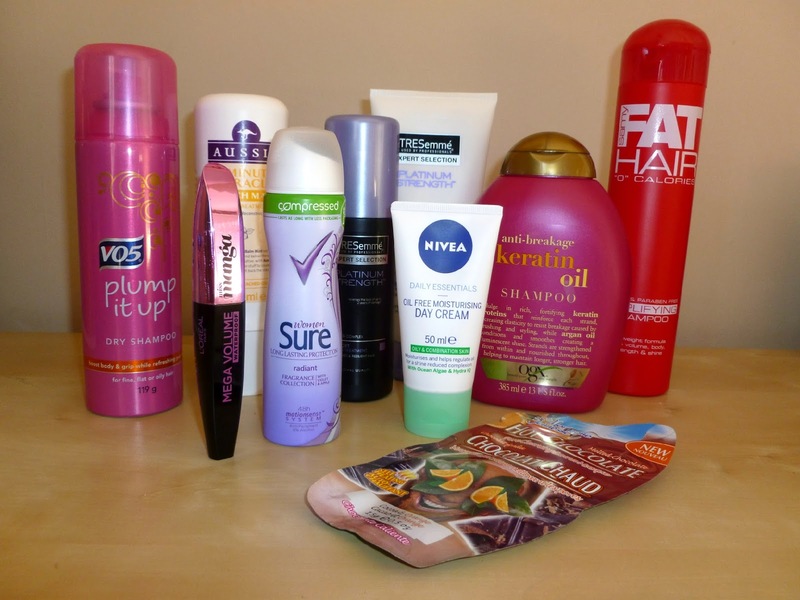 I've been picking up items here and there from both Boots and Superdrug over the past couple of months which I haven't featured on my blog before, so I thought I would show you some new purchases today. As I've owned these items for quite a while, I'll give you my opinions on them too! Back in 2013, pre my Roaccutane treatment, this product was a god send at combating my oily skin during the day. 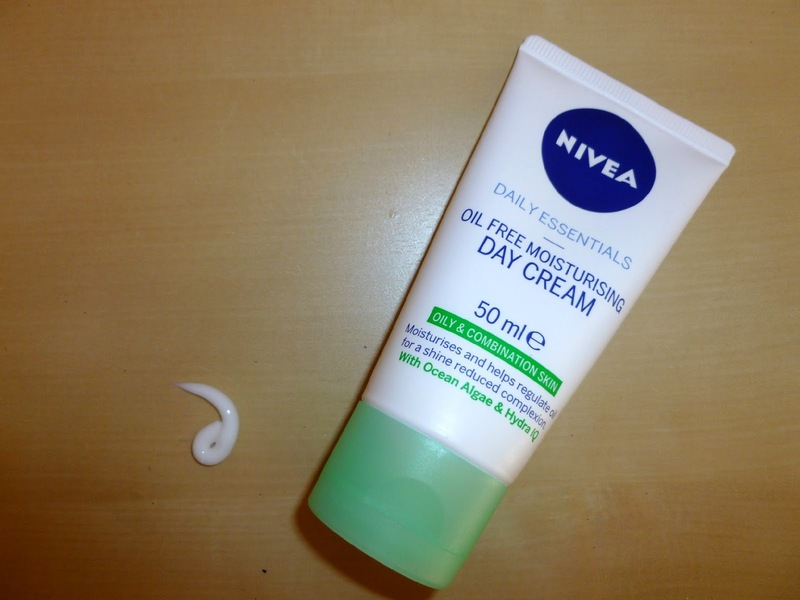 While being on Roaccutane last year, my skin became a lot drier and I had to switch to a heavier duty moisturiser. Now my skin is back to it's normal oily state, I've rediscovered this product and I've completely fallen in love with it again. This moisturiser is definitely lightweight and leaves your skin feeling fresh and moisturised whilst controlling shine throughout the day. My Sister and I picked up a couple of Montagne Jeunesse's face masks for a pamper night we were having last week. I'm quite a fan of their peel-off masks mainly for convenience of removing them without making a mess. 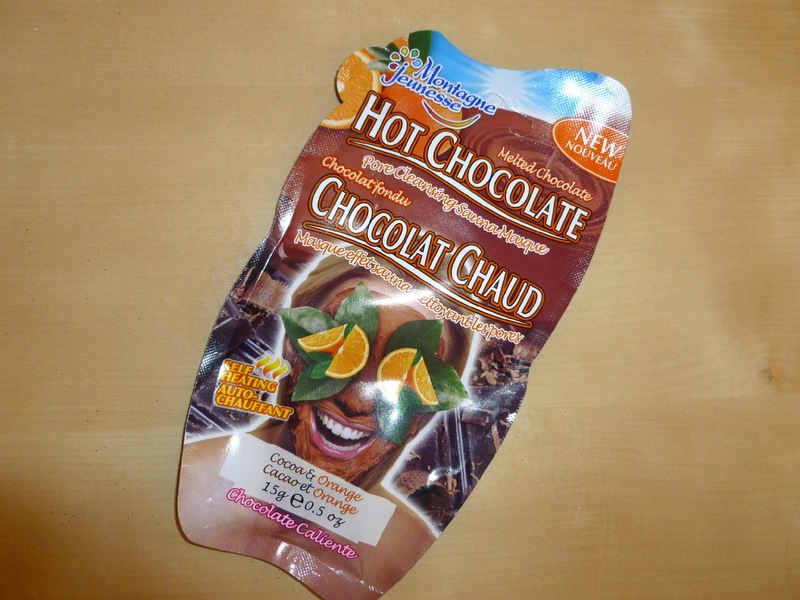 This Hot Chocolate mask heats up when it's applied to the skin and I found my skin definitely felt thoroughly cleansed after use. I did suffer from a few breakouts the day after I used the product, so I think I will limit face mask use for special occasions as my skin is very sensitive and prone to breaking out after using new products. Earlier this year, my YouTube subscription box was filled with beauty gurus using this product in their tutorials, so I finally gave in to the hype and had to purchase it. Unfortunately, I'm quite disappointed with this product. I find the brush is too flexible, which makes it extremely hard to control the brush when combing it through my lashes. Because of this, I found it took a few coats more than usual to coat my lashes properly. I will still try to use this up for lazy days in the house - but I'm not convinced it's anything special. One of the very first products I reviewed on my blog back in 2012 was an Organix product and I'm still really impressed with their products. I'm a huge believer in Organic shampoos that are sulphate free as I find they are moisturising without making your hair feeling really stripped and dry - like I found a shampoo with sulphates does. The shampoo is packed with keratin protein and argan oil which I desperately need in a shampoo at the moment as my hair is feeling particularly dry due to using more heated styling tools than usual. Organix shampoos are slightly more expensive than typical drugstore shampoos, but are definitely worth the slightly higher investment. 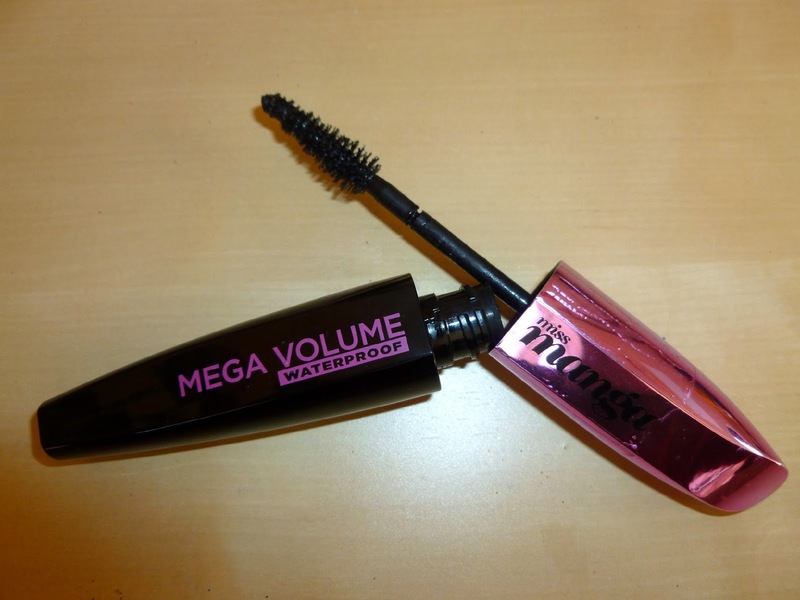 I picked this product up in Superdrug a couple of weeks ago as it was on offer and I was instantly drawn to it's description of adding volume with a lightweight formula. 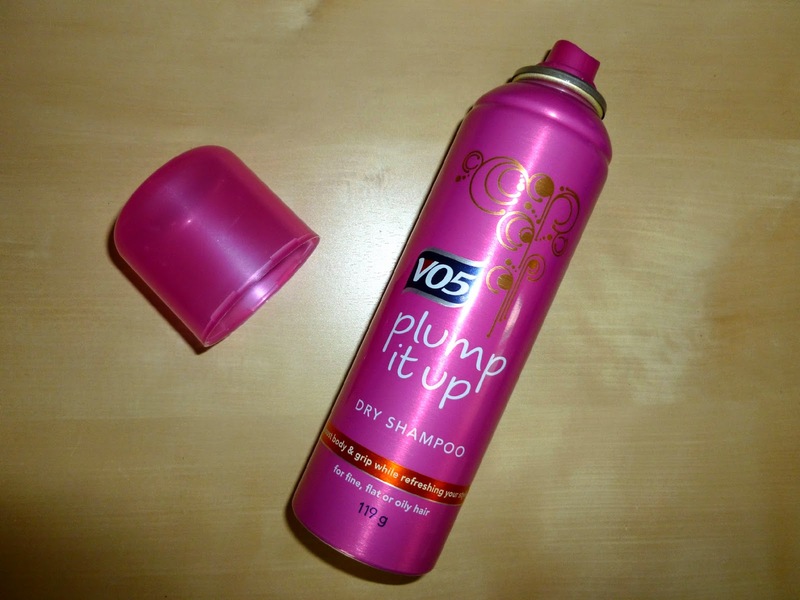 I wasn't impressed with this product as I found my hair was a lot more difficult to style afterwards as the shampoo completely stripped my hair and it all tangled together. The artificial scent of this product wasn't very pleasant either. I'm gutted I'm not a fan of this product as I had high hopes due to the description on the packaging. 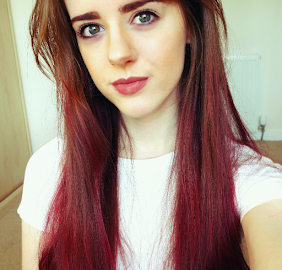 I have a lot of hair, but it's very fine and often lifeless, so I'm still on the hunt for a shampoo that will volumise my hair without the ends feeling really dry and stripped. As mentioned previously, my hair is very dry at the ends and is in need of a lot of moisture, so I tend to use deep conditioning treatments instead of normal conditioner to give my hair extra moisture. 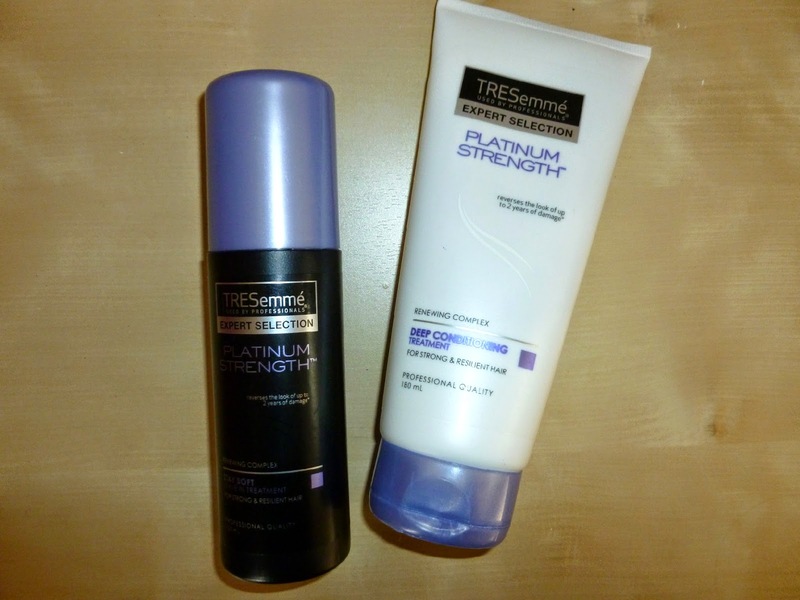 I find TRESemmé's Platinum strength range is great at conditioning my hair - and all their products smell amazing! I apply the deep conditioning treatment a couple of times a week, followed by the leave-in conditioner after towel drying my hair. I've always been a fan of Aussie products and their deep conditioning treatments are definitely the best on the beauty market at the moment. Aussie products always smell amazing and actually linger for quite a while after washing- which I find is quite rare of hair products nowadays as the scent normally vanishes after a couple of hours. Their deep conditioning treatments are available to buy in smaller sizes too, which are perfect for travelling. 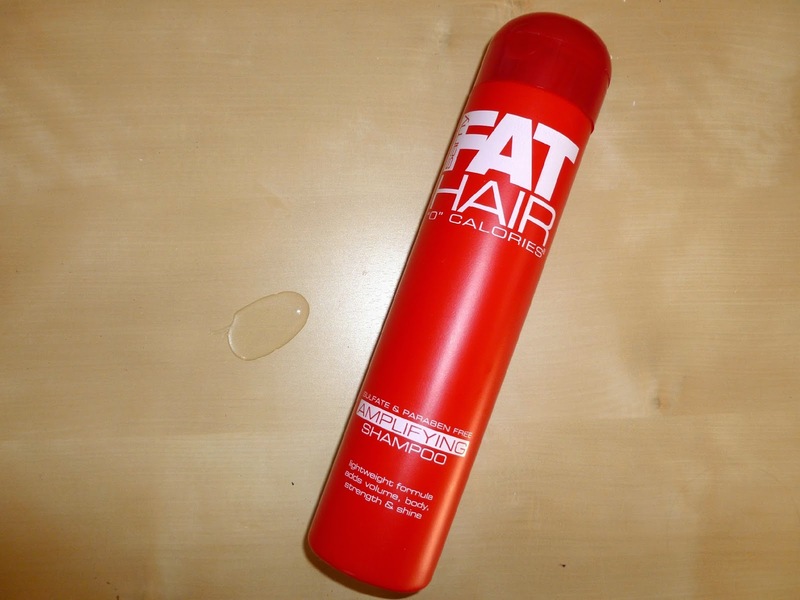 I recently featured this product in my 'Battle of the Brands' dry shampoo edition and this one came out top of the leader board. 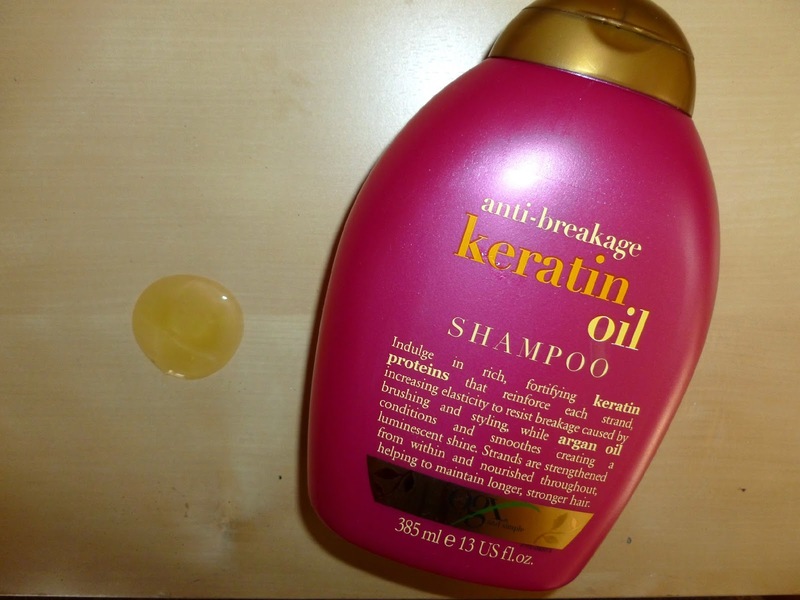 The product successfully gets rid of any oily patches in my hair as well as giving it volume and smelling fresh. Unlike other dry shampoos, I find this one leaves virtually no white residue on my hair, which is always a winner! After hunting for my usual Mitchum deodorant in the scent waterlily for months, I'm gutted to find out the product has been discontinued. 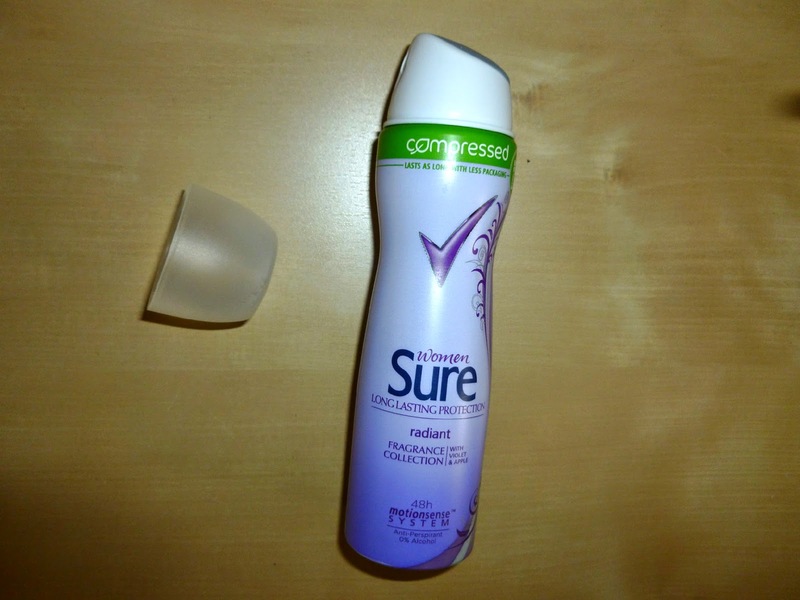 I've tried a number of deodorants since then - from Dove to Nivea products - and I always end up coming back to Sure Women. I'm a fan of their little compressed bottle sizes, they really do last the same amount of time as their bigger cans! The scent of the deodorant is beautiful so I'll definitely be re-purchasing this again in the future. Have you tried any of these products? What are your staple drug store products? Over the past couple of months, due to working overtime and celebrating my birthday, I've had a bit more money to spend that usual so I treated myself to some new clothes and accessories. This isn't all from one shopping trip - I only ever tend to buy one or two items when I'm normally out shopping. After realising I have a lot of new clothes and accessories I haven't blogged about, I thought I would share what I've accumulated over the past couple of months with you today. 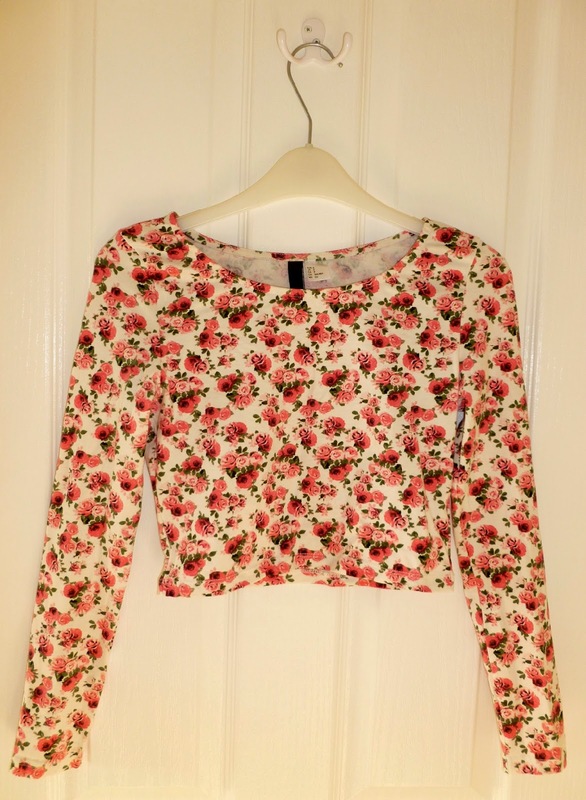 I became quite fond of these 90's style crop tops after seeing Zoella wear one in a YouTube video. 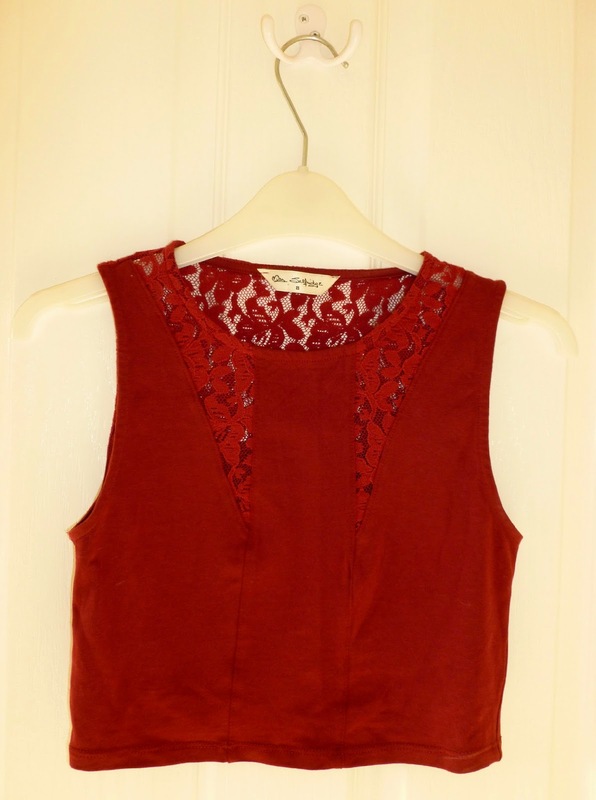 I find the shape of the top is really flattering for all figures, the only disadvantage being I have to pair it with a strapless bra to avoid any bra straps showing. The black crop top on the left is made of slightly different material to the one on the right. The sizing is slightly different in both tops; I bought the plain black top in a size 4 and the floral patterned top in a size 8. 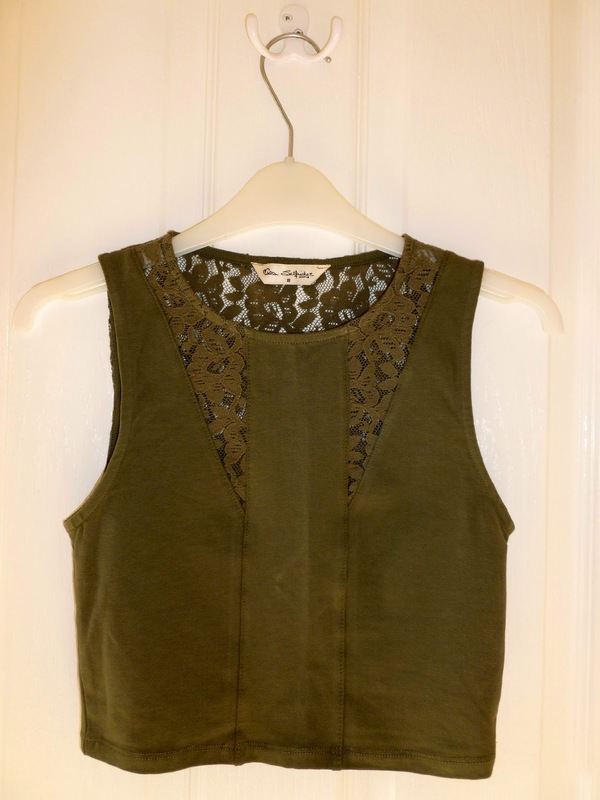 I don't normally go for bardot style tops, but I've completely fallen in love with this one. 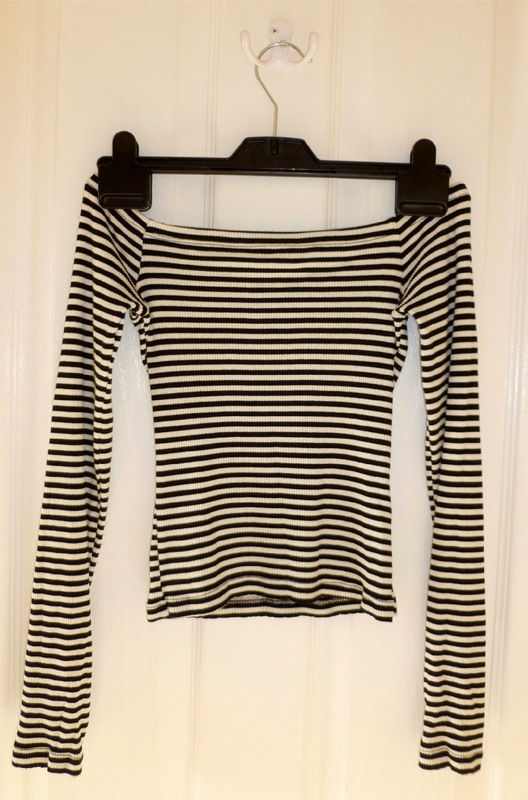 It's a simple black and white striped top which hangs slightly off the shoulders. I was surprised at how much this style of top suits my figure and I'll definitely be keeping my eyes peeled for more of this style in the future. I tend to live in jeans, so I thought it was time I invested in some fancier looking trousers. 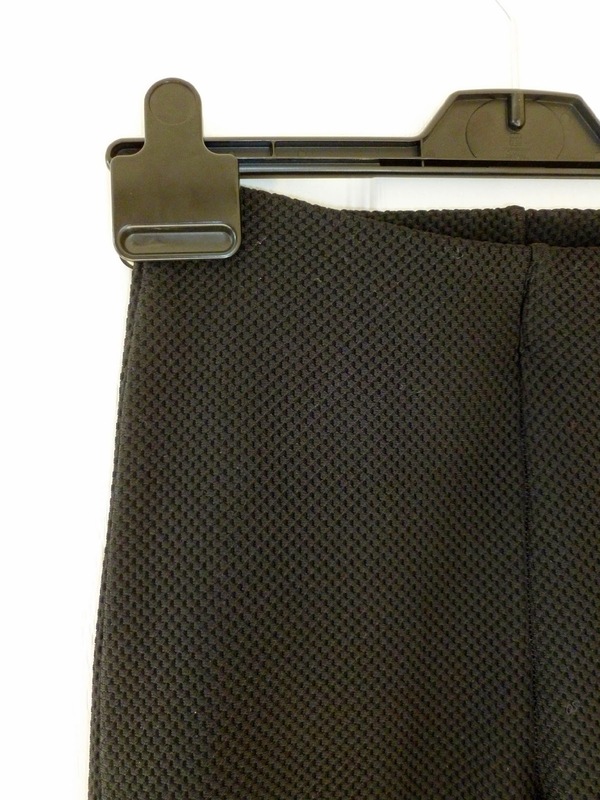 These are simple, textured black trousers which are rolled up slightly at the bottom. When on, the trouser leg ends just at my ankle, which would be perfect in the cooler months paired with some ankle boots. They are extremely comfortable and I definitely want to invest in more of these trousers in different colours/patterns soon. 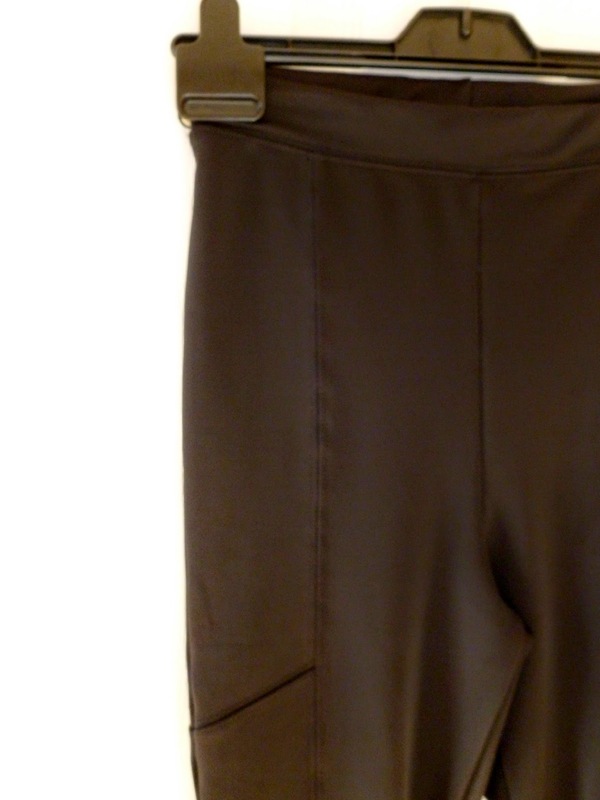 I purchased another pair of smart trousers from Miss Selfridge, this time in a leather look material. The trousers are really thick and feel well made when worn. I didn't realise these were part of the petite range, so unfortunately they are a little bit short on me, but I've given them to my little sister and she seems to enjoy wearing them. 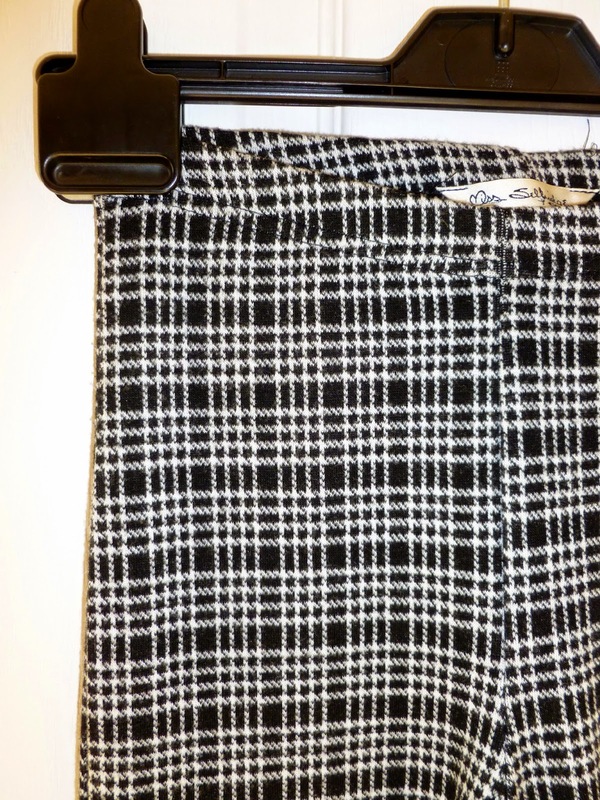 The last pair of trousers I purchased from Miss Selfridge are black and white checked print with the ends slightly rolled up. The material is really soft which makes them the most comfortable trousers I currently own. 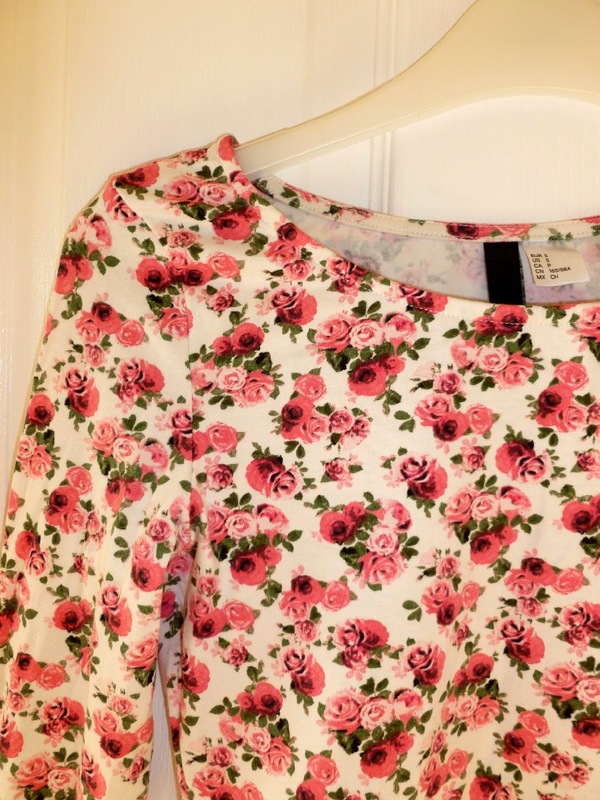 Sticking with the crop top theme, I picked up a floral crop top from H&M for only £7.99. 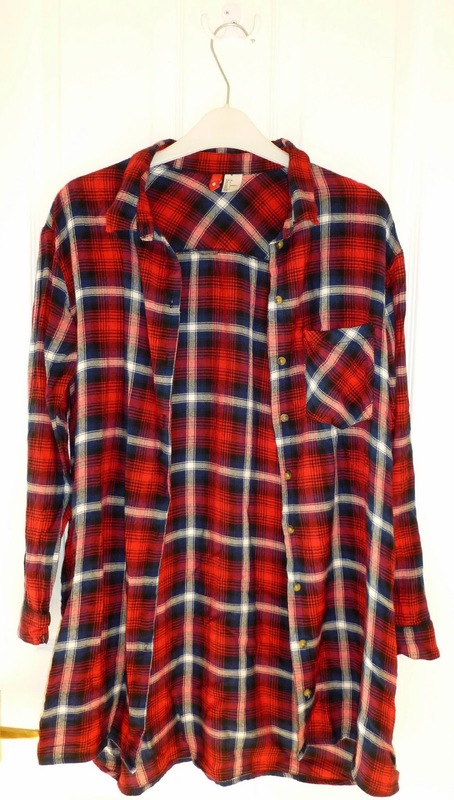 It has long sleeves, so would be great paired with some high waisted trousers in the Autumn months. I saw this shirt on a mannequin in H&M and I completely fell in love with it. 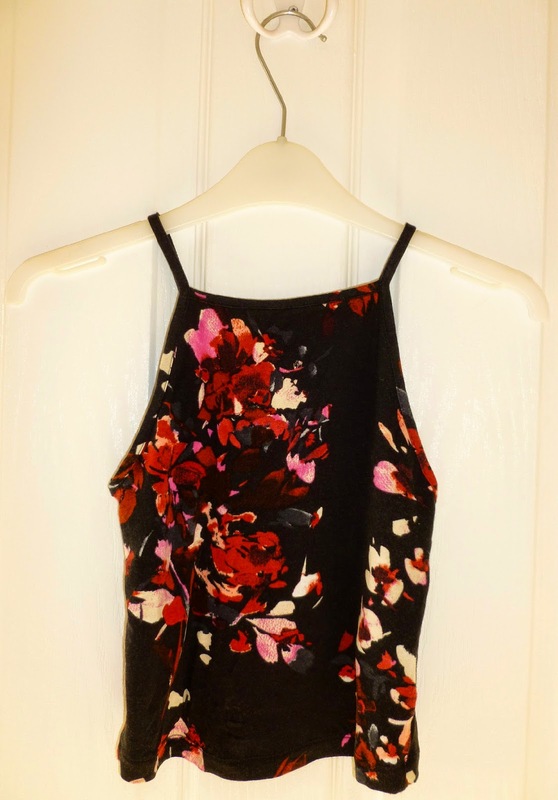 I bought it in a size 8 and although it is still quite over sized, it looks great paired with a simple black dress or jeans and a tshirt. I'm looking forward to layering this piece with tights and scarves in the next few months. 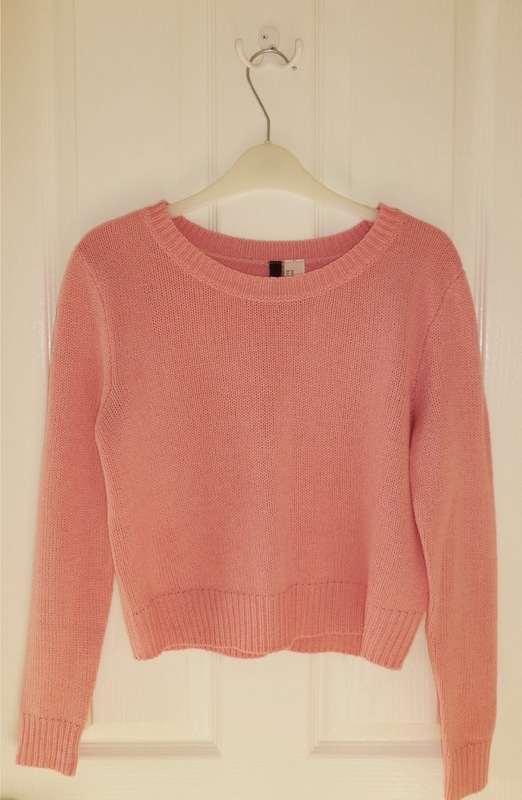 I don't actually own a lot of jumpers in my wardrobe, so I thought I would invest in some for when it gets a little bit cooler outside. 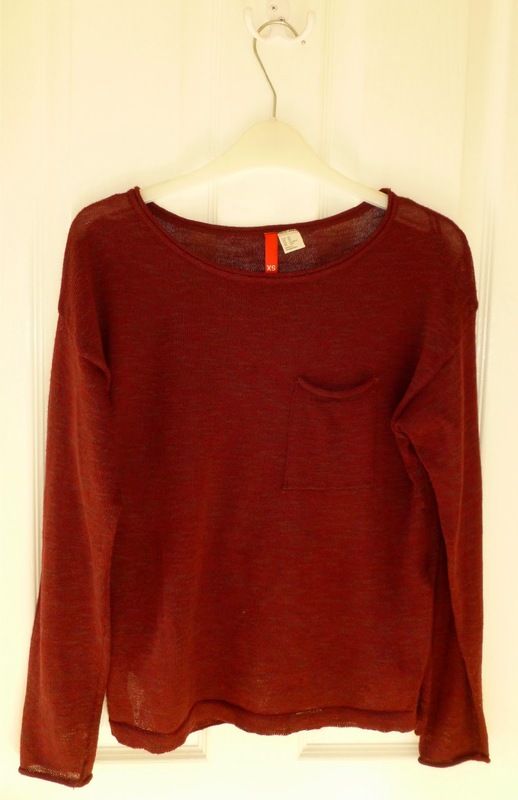 The jumper is burgundy red with a pocket at the side. It's made of very thin material, so I would definitely wear it with a t-shirt or vest top underneath. 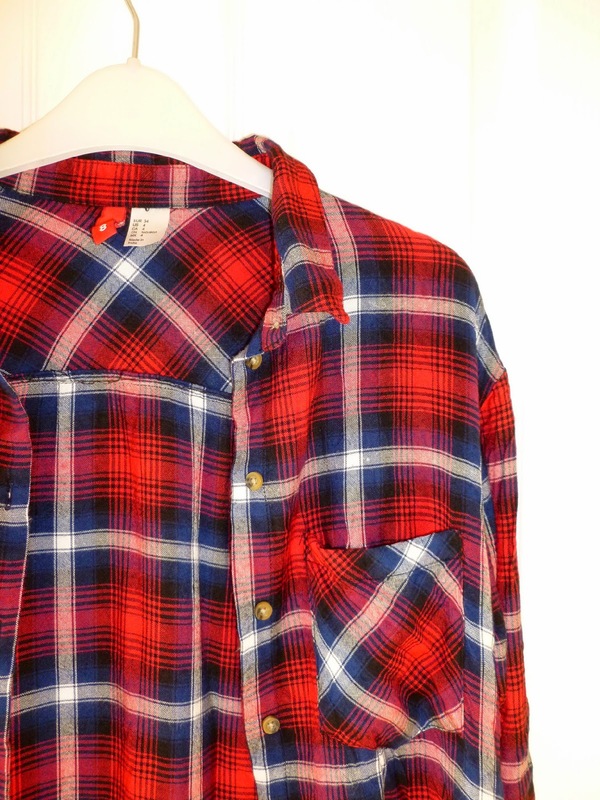 I've been loving wearing this on top of my red checked shirt paired with some grey or black jeans. I also bought two more jumpers from H&M. Both of these are thicker than the burgundy red jumper, but are the perfect thickness for the transitioning months into Winter. 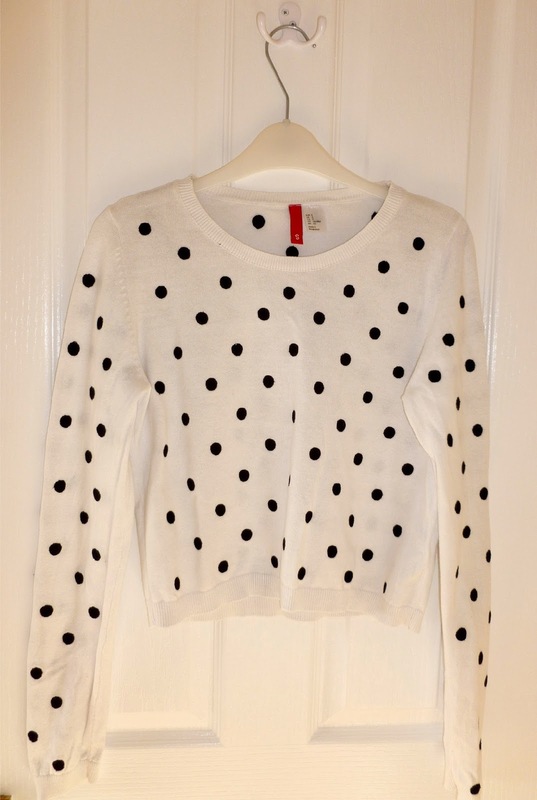 I bought one in a baby pink colour and a polka dot pattern. 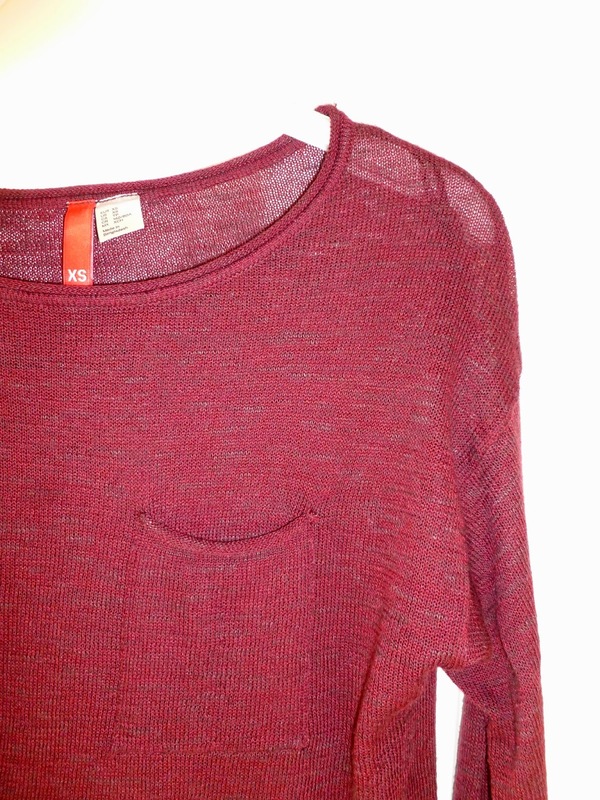 The jumpers are slightly cropped, so I tend to pair them with trousers or skirts with a higher waistband. I've purchased H&M jeans for years and they never disappoint. They're extremely comfortable, stretchy and at a very reasonable price. I picked up a pair in a light blue colour. 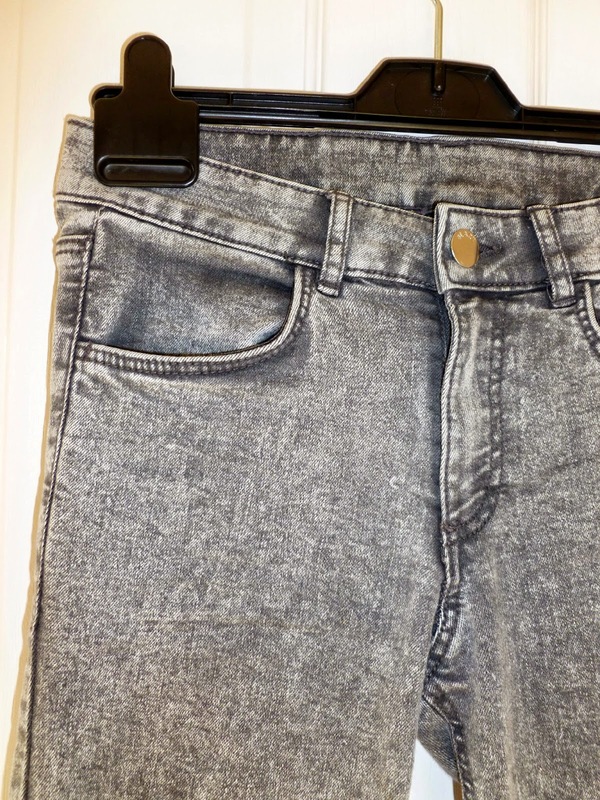 I also picked up the same pair of H&M jeans in a grey colour. I've never owned a pair of grey jeans before and I actually prefer them to wearing blue or plain black jeans. 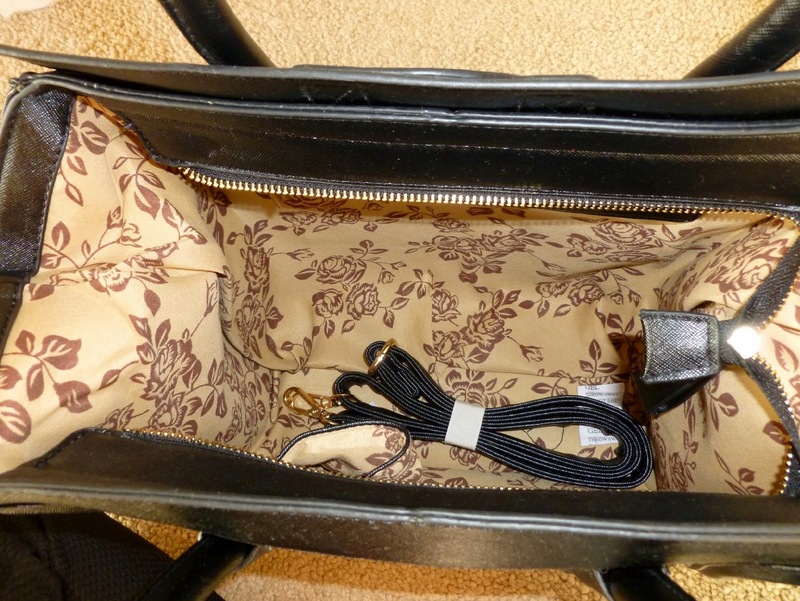 I featured a Céline inspired bag in a 'What's In My Bag' post a while ago and unfortunately the zip completely broke off. As I was in love with the bag I had, I asked for another one for my birthday. I'm pretty sure this one cost around £15-£20 on Amazon/Ebay. As it was a gift, I'm not sure of the exact price/whereabouts of this product (sorry!). 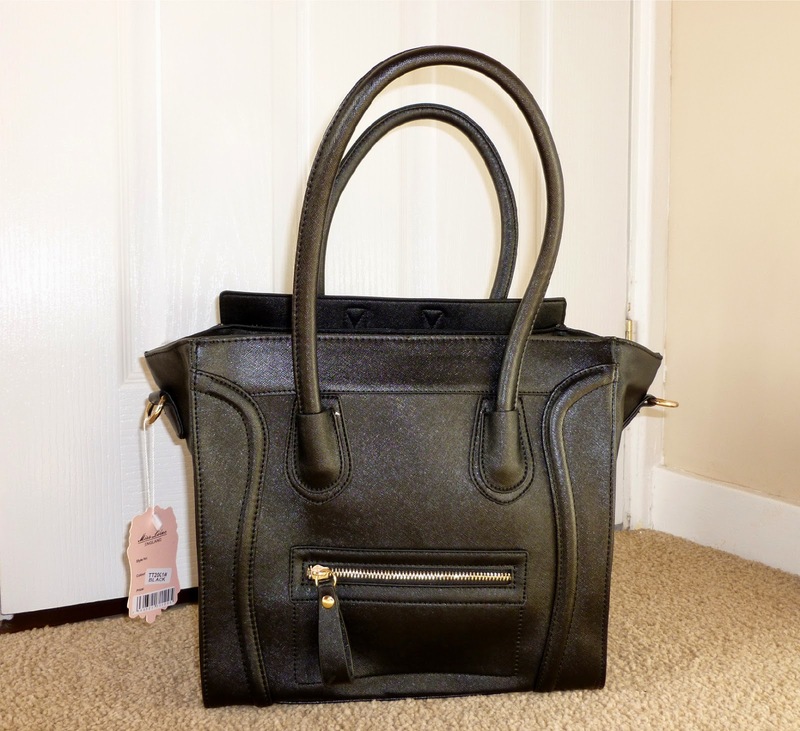 Lots of these styles of bags can be found by searching 'Céline bag' on Amazon/Ebay then sorting the results into price order from lowest to highest. My old Céline inspired bag had a hot pink lining in the inside of the bag, which wasn't my favourite aspect, but I'm really pleased with the lining design of my new bag. The bag is slightly smaller than my old one, but hopefully this means it won't get filled up with as much junk as I previously kept in my old hand bag. I'm planning on doing an updated 'What's In My Bag' post quite soon, so I will definitely go into more detail about the bag in that blog post. 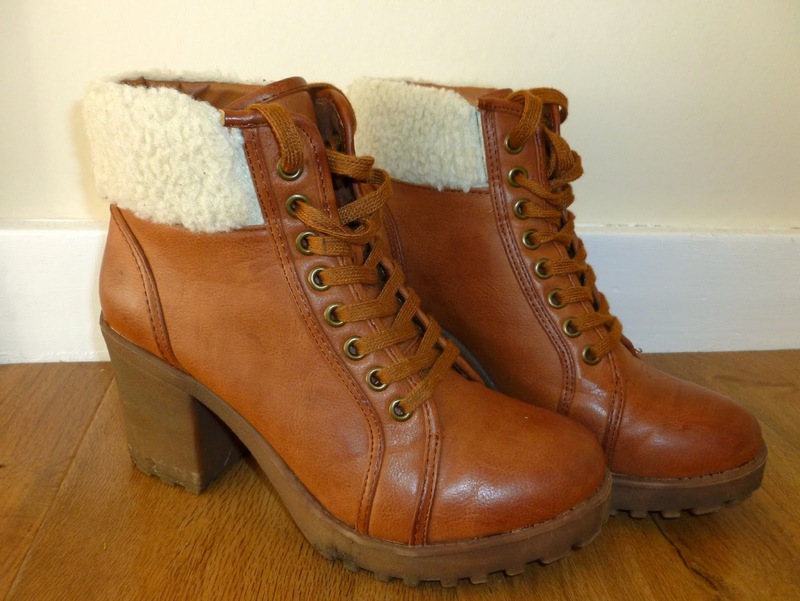 My favourite purchase over the past couple of months has definitely been my new heeled boots. I live in either black converse or black heeled boots, so I thought I would mix things up a little and go for a brown boot to add to my collection. The heel isn't too high and they are actually really comfortable to walk in. I love the faux Shearling cuff around the top of the boot, which definitely makes the boots appropriate during the winter time. Have you been Autumn/Winter shopping recently? 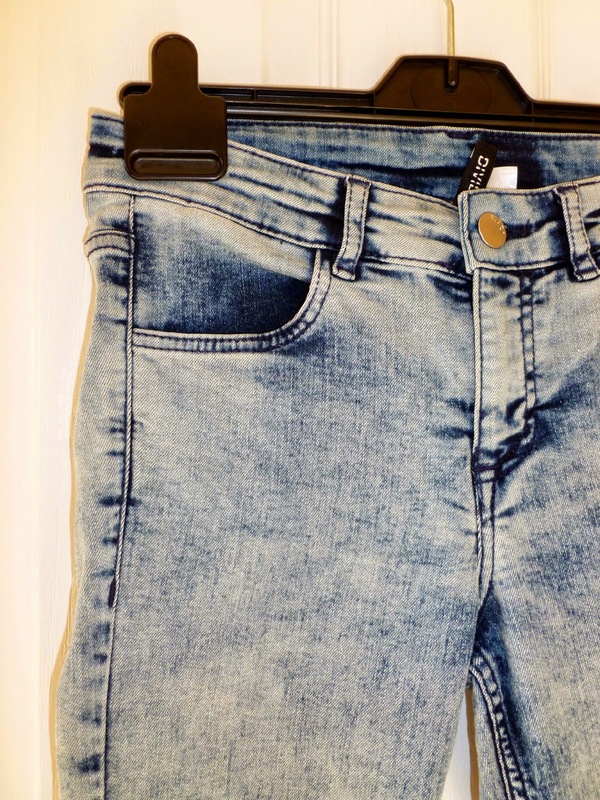 Have you got your eye on any clothing items in the shops you're wishing to buy in the future?